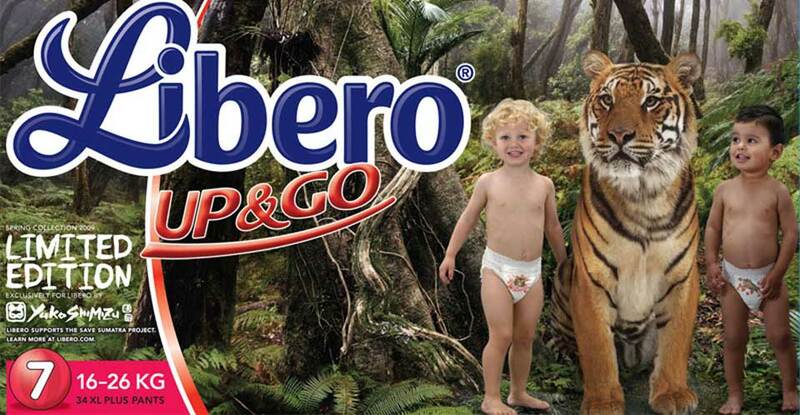 Popular diaper brand Libero in Sweden is known for their creative edge. 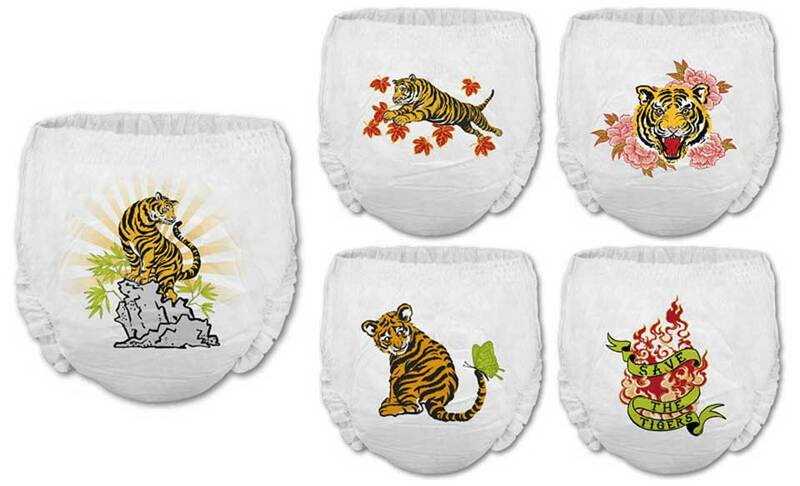 Each Spring and Fall, they come out with a limited edition collection created by different artists. 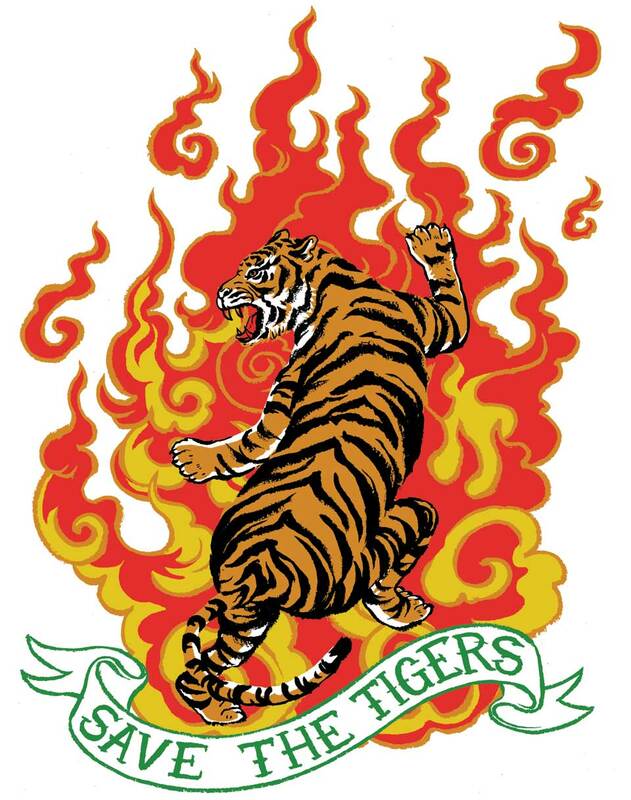 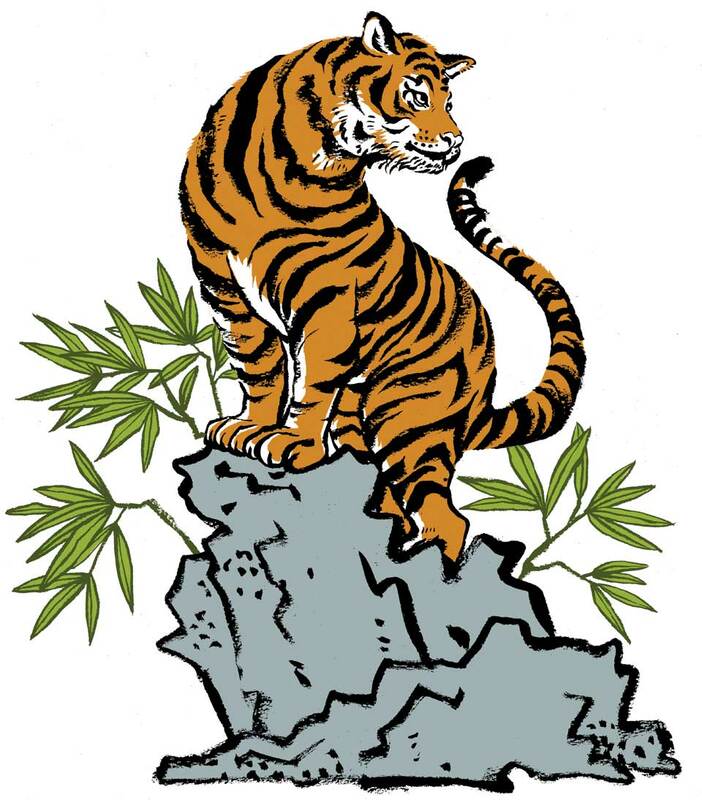 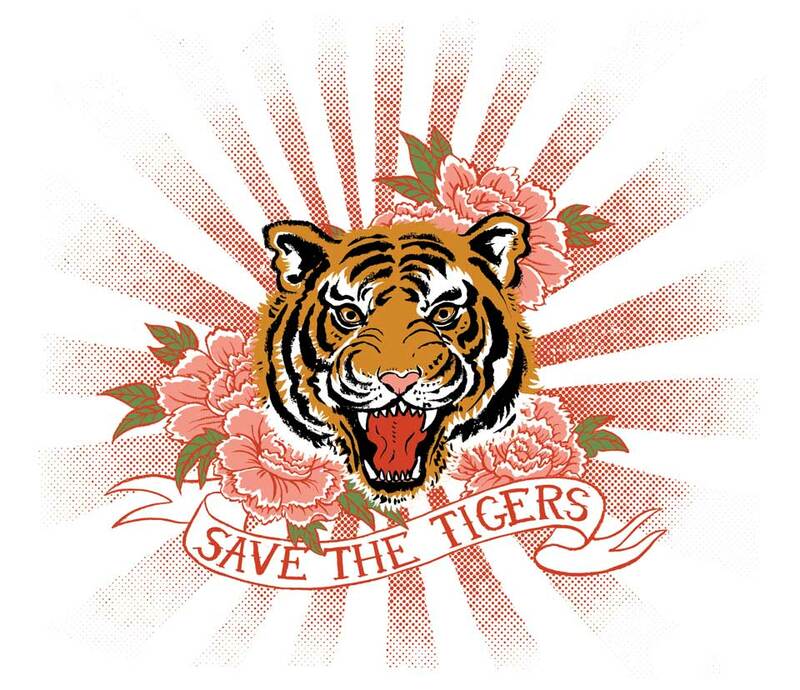 I worked on the theme of “save the tigers”. 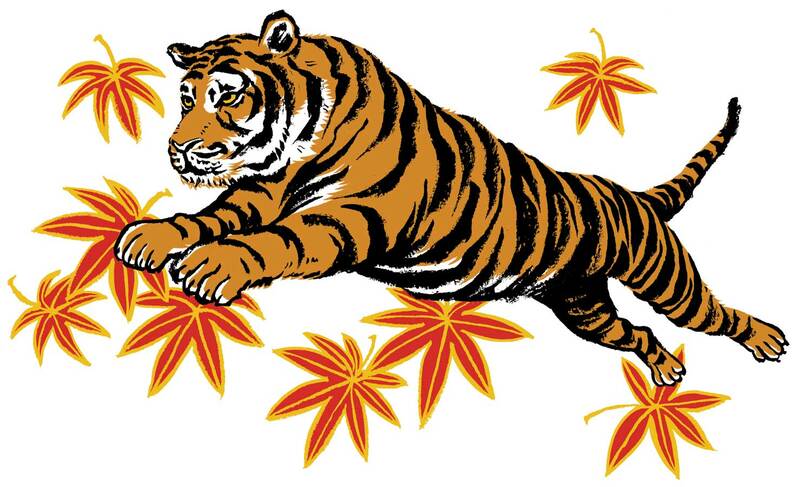 Probably the most odd-ball (and fun) assignment I have ever worked on. 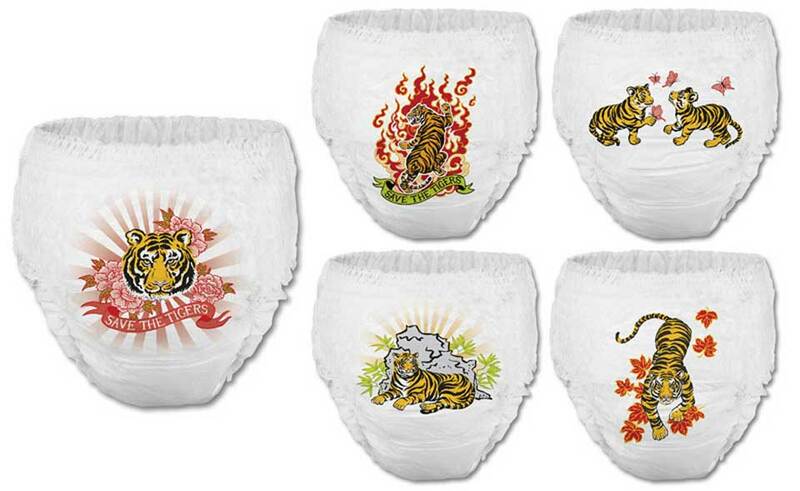 My diapers were available in the Spring 2009 limited edition collection for about three months in Sweden. 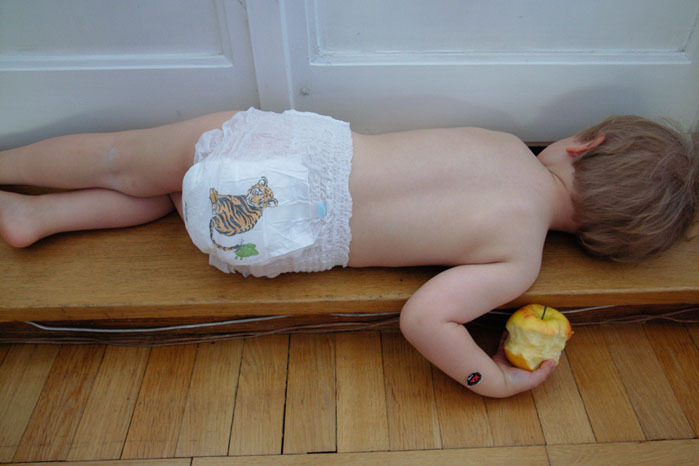 The last photo is of baby is Valdemar, son of graphic designer Truls Bärg and photographer Charlotte Carlberg Bärg from Malmö, Sweden.